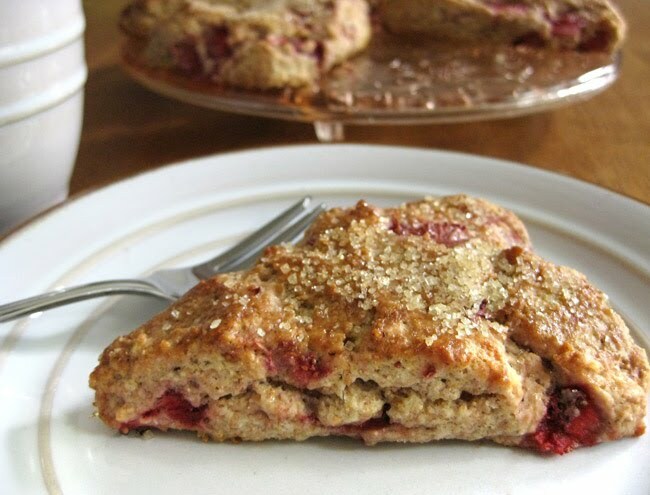 In the Kitchen: It’s Strawberry Season! For me, nothing says summer like strawberries! Here in Northeast Ohio, they’re the first fruit ready for picking and since they aren’t available (even in stores) for most of the year, I tend to go a little crazy when I see the juicy red berries come to life. Aside from my standbys of strawberry lemon marmalade and cheesecake with strawberry sauce, I try to make different treats each year. 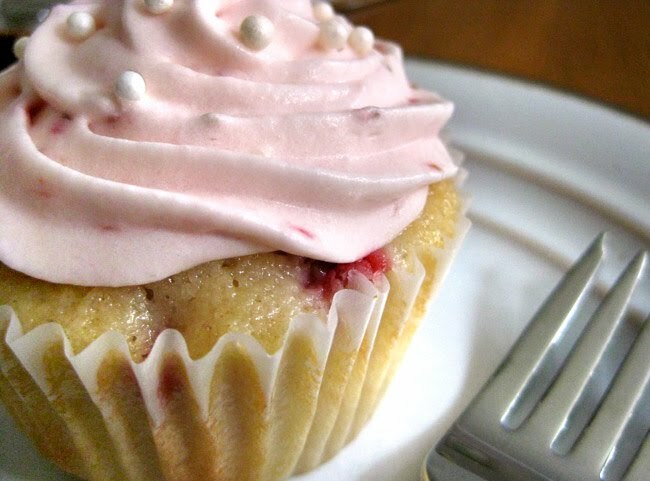 I’m not always successful with my kitchen endeavors but today I have three delicious recipes to share that I couldn’t be happier with – strawberry cupcakes with strawberry cream cheese frosting, strawberry crumble pie and strawberry scones. My initial pick of about five quarts got me through these three recipes, two failed frosting attempts, a batch of cheesecake sauce and plenty of daily eating. Just in time to head back out and pick the second batch of bloomers. Get your buckets ready and read on for the recipes, how-to’s and printable recipe cards. Happy Picking! If you aren’t tempted to lick your computer screen right now, you better check your pulse. 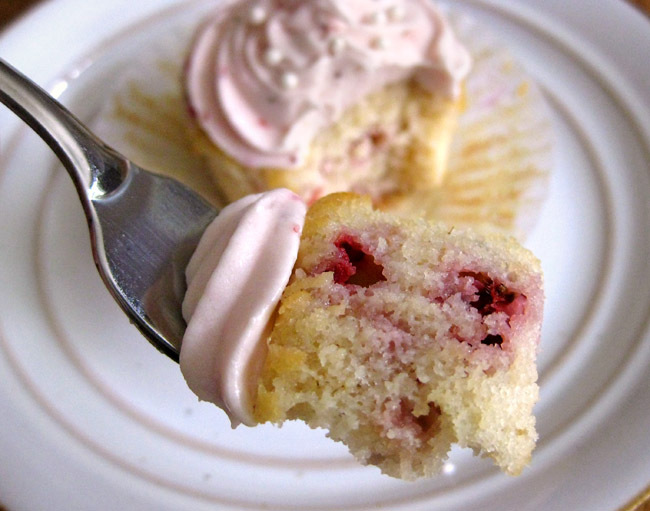 These cupcakes are like heaven in a little fluted liner. Perfectly moist, soft and fluffy with a zen like balance of fresh and sweet. Plus they’re pink, which automatically kicks up the awesomeness a few notches. 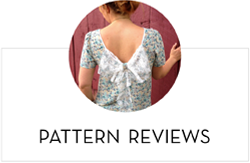 They’re also pretty easy to make, so what are you waiting for? 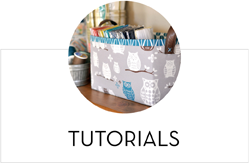 Preheat the oven to 350° and line muffin tins with paper liners. I often bake muffins (and some cupcakes) without liners but I find these cupcakes work better in liners. If you have trouble finding cake flour, look by the cake mixes rather than the bags of flour. It’s in a box and looks like a cake mix so it’s hard to spot if you haven’t seen it before. Pillsbury Softasilk is the most common brand but there are others, too. It does make a difference in this recipe, so do use it. Sift together the flours, baking powder and salt, set aside. With an electric mixer (stand or hand), cream together the butter, sugar and vanilla on medium high speed. Add the eggs one at a time and beat until just mixed. On low speed, beat in half the flour mixture, then half the milk, then the remaining flour and lastly the remaining milk, beating until well mixed. Gently stir in the strawberries by hand. Spoon batter into prepared liners, filling about 3/4 full. I have one 12-cup muffin pan and two 6-cup muffins pans for recipes that make more than 12 cupcakes. Having the smaller 6-cup tins allows for better baking when you have 3-4 extra cupcakes and having two of them allows for two full 12-cup batches. Bake for 15 minutes and rotate tins in oven. Bake for another 10 – 15 minutes until the tops are lightly golden and a toothpick inserted in the center comes out clean. Cool the tins on a wire rack for 15 minutes then remove the cupcakes from the tins and allow to cool completely before frosting. 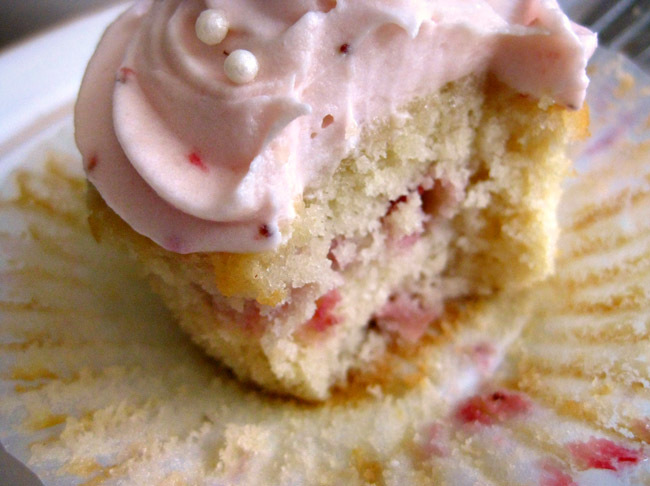 To make the frosting, you’ll first need a little strawberry puree. 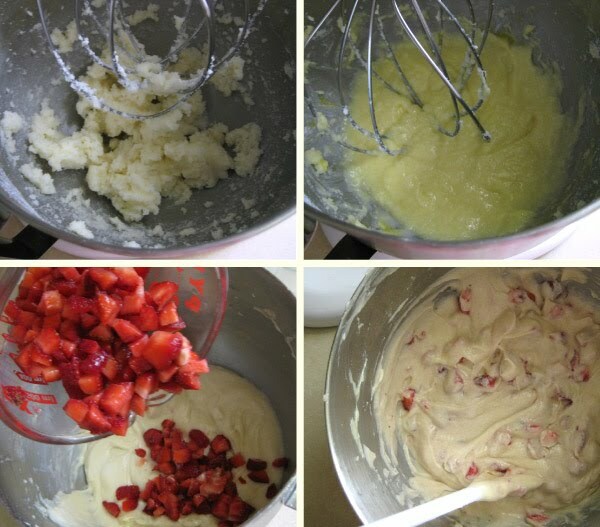 Finely chop about 5 – 8 strawberries (depending on size) and mash them in a bowl with a fork or masher until pureed. Next, cream together the butter and cream cheese with a electric mixer. Beat in the strawberry puree followed by the powdered sugar, one cup at a time. Beat until well blended and thick. Add additional powdered sugar as needed to taste or for thickness. Do note, this frosting will be a little thinner than a standard cream cheese or buttercream frosting because of the strawberries. Chill it in the refrigerator for 30 – 60 min before piping and it will work nicely. My piping is a little sloppy because I was impatient (and running out of daylight), so I piped my cupcakes before the frosting chilled enough. It still works just fine and wont run off the cupcakes, but will look much prettier and stay put a bit better if chilled. All that’s left now is to enjoy! If these don’t make it into someone’s belly the first day, store them in an airtight container in the fridge for up to a week. Allow them to sit for at least 30 minutes (or longer) and warm to room temperature before eating. Trust me on that one, they’re too hard when cold but just as good as fresh baked after they warm up, even a week later. Fat chance if they make it past day two. If pie is more your thing, listen up. Chances are you are used to cold strawberry pies, topped with piles of whipped cream or made chiffon style. And while there’s nothing wrong with those classics (trust me, I’ll throw back a piece or seven), you don’t often see a warm, gooey baked strawberry pie. 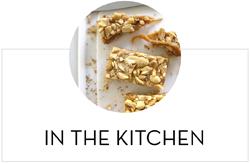 Topped with a sweet crunchy crumble, sitting atop a chewy cream cheese crust you say? Yes, please. 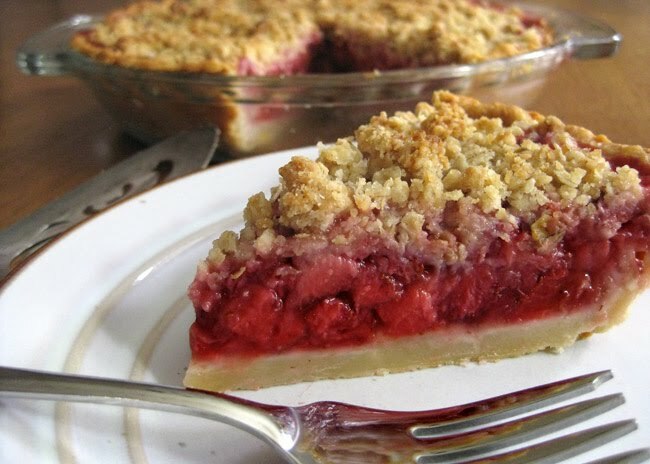 It’s not a very sweet pie, it lets the simple strawberry filling speak for itself, but the crumble topping adds a sweet crunch and the buttery cream cheese crust has the perfect bite. I don’t even like fruit pie, let alone warm fruit pie, but I’ve been on this one like a duck on a slug. To make the crust, beat together the butter and cream cheese until combined. 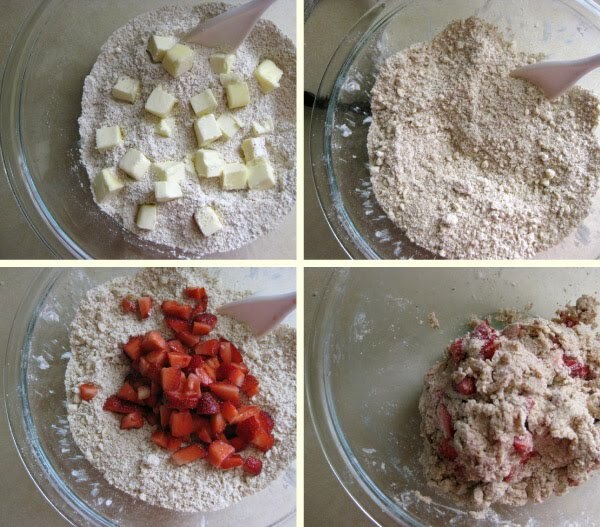 If you have a food processor, you can make the crust in there, otherwise, you can use a hand mixer and a spoon! Add the flour and salt and mix until blended. Dough will start to come together but still be in pieces. 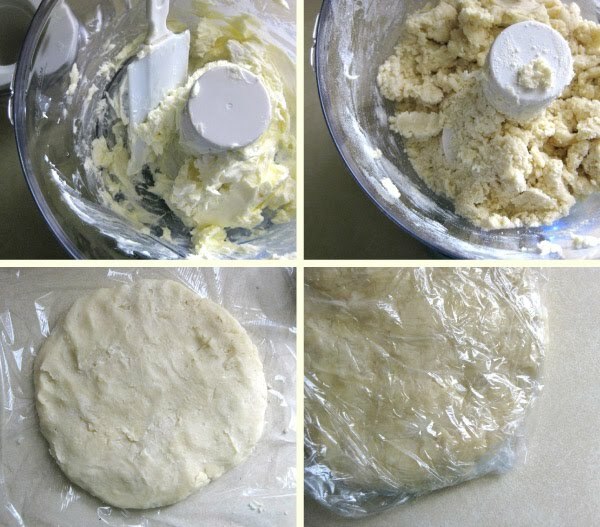 Remove the dough from the bowl and shape into a disk. Wrap in plastic and refrigerate for 45 minutes. 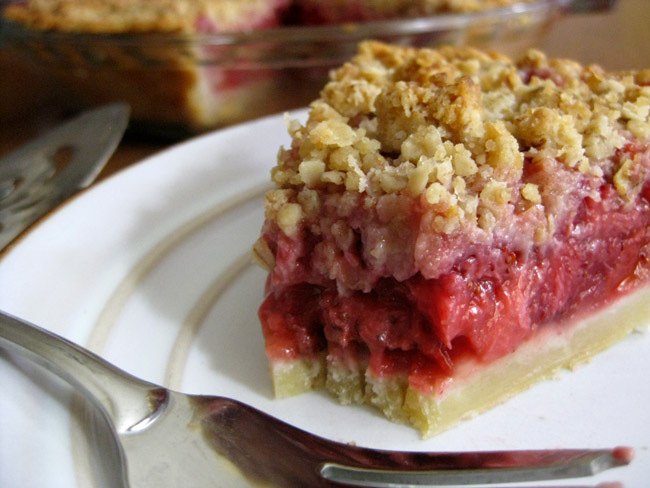 While the dough is chilling, you can make the crumble topping. Combine the sugar, flour and oatmeal in a small bowl, stir until blended. Add the melted butter (cooled slightly) and stir until incorporated. Refrigerate until ready to use. Back to the dough! Once chilled, remove from the fridge and on a lightly floured surface, roll to about 1/8″ thick and large enough to fill a 9″ pie pan. I find the easiest way to transfer dough to a pie dish is to roll it around the rolling pin (add a little flour as you go so it doesn’t stick to itself). 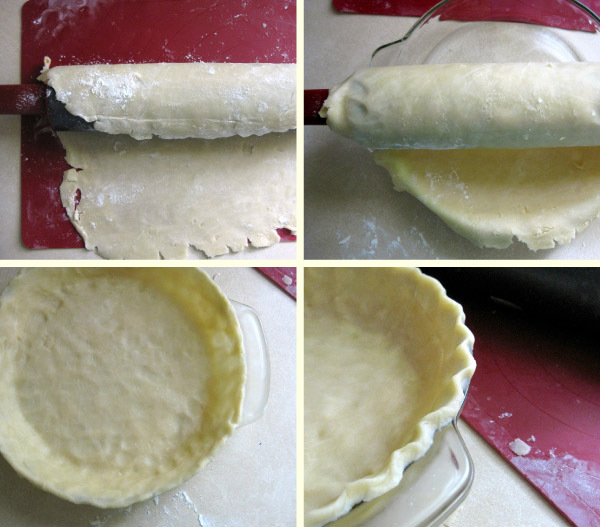 Hold the rolling pin over the pie dish and unroll over the pan. Press to fit as needed, trim edges about 1/4 above rim of pan and shape as desired. Now, I’ll tell you, I’ve never been all that fond of rolling pie dough. It really is a fine art but I do ok after years of practice. However, this dough is a different story. 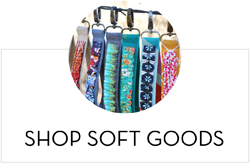 It’s soft, it’s hard to work with, it will probably tear and make you go crazy. But don’t worry! Just smoosh it back together and move on. It won’t look pretty, but it doesn’t have to. The deliciousness will far outweigh a less than perfect fluted edge and everyone will be so impressed that you even made the dough, they won’t care what it looks like. Place the crust back in the fridge for 15 minutes and preheat the oven to 350°. Once chilled, prick the bottom of the dough with a fork and bake the empty crust for 15-20 minutes until lightly golden. Place on a wire rack to cool while you prepare the filling. Increase the oven temperature to 375°. Add the lemon juice and orange zest to the strawberries and toss gently to combine. Next add the sugar, cornstarch and flour, stirring gently until thoroughly mixed. 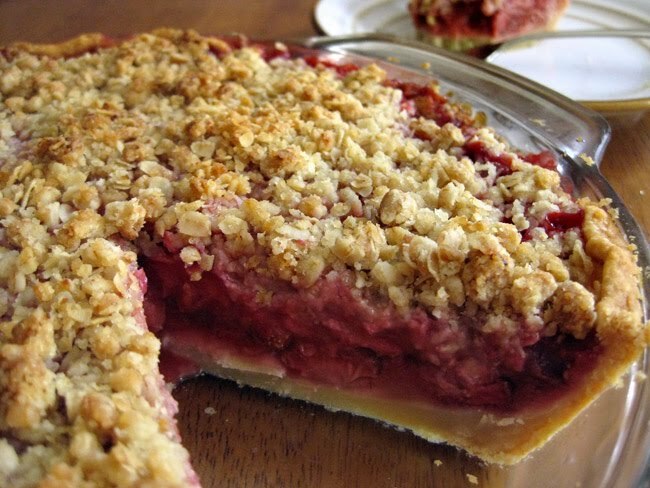 Spoon the strawberries into the crust and top with the chilled crumble mixture. Bake for 50 minutes until topping is golden brown and filling starts to bubble. Place on a wire rack and let cool slightly before serving. As I mentioned earlier, I find this pie best served warm, slightly gooey and syrupy and just cool enough to not burn your mouth. 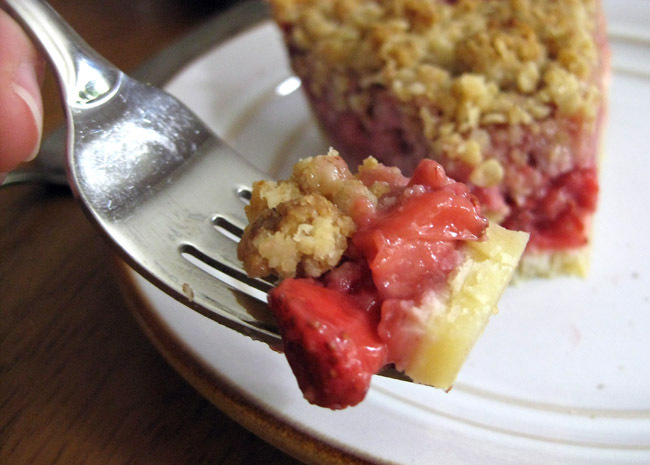 You certainly can eat it cold, which is how I usually like my pie, but I think you lose the sweetness of the strawberries and pick up more of the flour taste in the filling when it’s cold. Store any leftovers in airtight container in the fridge and heat slices in the microwave for about 30 – 45 seconds before serving. Scones – you either like ’em biscuity (like me), like ’em sweet (like my parents) or you don’t really know what they are (like my husband). 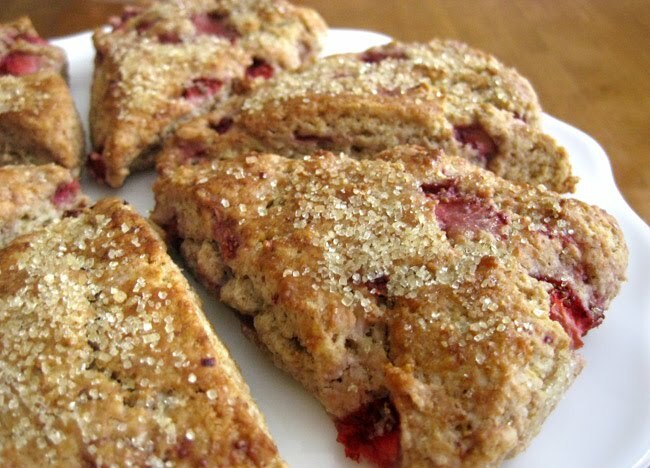 Essentially a scone is a small british quickbread of scottish origin. It was originally round, flat and baked on a griddle but the invention of baking powder took this treat to a new level and the common triangle or wedge shape took popularity to minimize dough wastage. Most scones in the US these days are sweeter than their foregin counterparts and often topped with icing, but I prefer mine less sweet with a sprinkling of coarse sugar and made with whole wheat flour for extra nutrition. 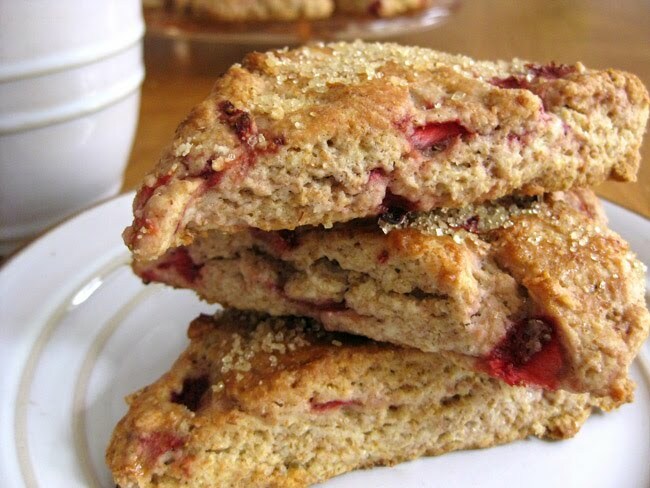 You could equate my recipe below to a slightly sweetened fresh strawberry biscuit and for me, it doesn’t get much better than that on a rainy Sunday morning. *You can omit the whole wheat flour and use 2 cups total white flour if you prefer. Coarsely chop the strawberries and let sit in a colander for about 5 -10 minutes to drain any excess liquid. Toss with about 1 Tbsp sugar and set aside. Mix flours, sugar, baking powder and salt in a large bowl. Cut the butter into cubes and cut it into the flour mixture using a pastry blender, fork or two knifes until it resembles coarse, pea sized crumbles. Stir in the strawberries and then add the cream, stirring gently until combined and dough starts to hold together. Transfer the dough to a lightly floured surface (it will be a little sticky, add a little flour as needed) and shape into a disc about 1″ thick. Cut into 6-8 wedges and transfer to a parchment lined baking sheet. 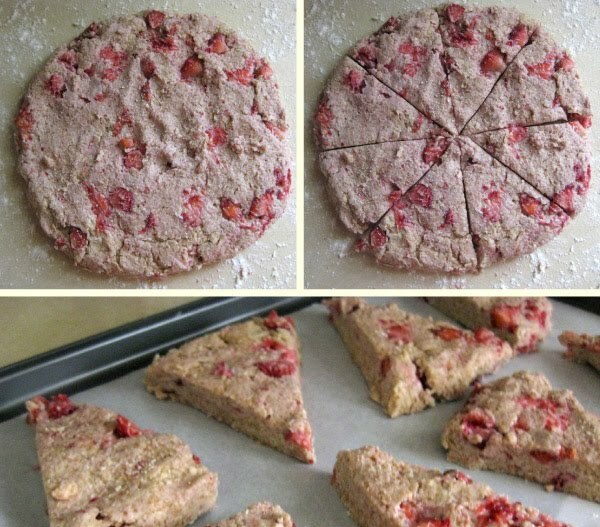 Alternatively you can shape the dough into a rectangle, cut two squares and then cut each square in half forming 8 triangle scones. In a small bowl, whisk together one egg and one tablespoon of water (alternatively you can use milk). Remove the scones from the oven, brush with the egg wash and generously top with coarse sugar. I use raw turbinado. You can skip this step if you prefer and top with a powdered sugar icing if you like a sweeter treat but I find them perfect with the sparkly, crunchy raw sugar topping. Return to the oven and bake an additional 5 – 10 minutes until tops start to brown. Mine took an additional 7 minutes. Be careful to not overbake or they will get dry. Let cool on pan or a wire rack about 10 minutes before munching. I find these most delicious when served fresh out of the oven and slightly warm, topped with a little butter and fresh fruit spread (like homemade peach butter!). You can store any leftovers in an airtight container in the fridge for a few days and allow them to warm to room temperature or pop them in the microwave for a few seconds before enjoying. You can also substitute a variety of fresh fruit for the strawberries in this recipe, such as blueberries, raspberries or peaches – yum! I hope you’ve enjoyed today’s strawberry celebration! I’d love to hear what you think if you give these recipes a try and I’d also love to see you’re favorite strawberry recipes. 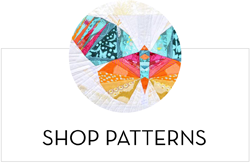 Feel free to share in the comments below and happy picking! We are just about coming into strawberry season here and I can't wait to go picking. I'm throwing a birthday party this week, and just might need to do the strawberry cupcakes! How do you get the icing so pretty? Oh my goodness. These recipes look amazing. I love fresh strawberries. OH my, so delicious looking. Making my mouth water. 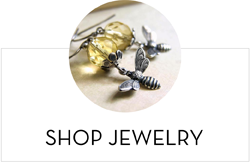 I'm having a giveaway on my site and asking what your fav cupcake is. I've had a few people say strawberry with cream cheese icing and it's been on my mind since. Oh, they all look so good to me! 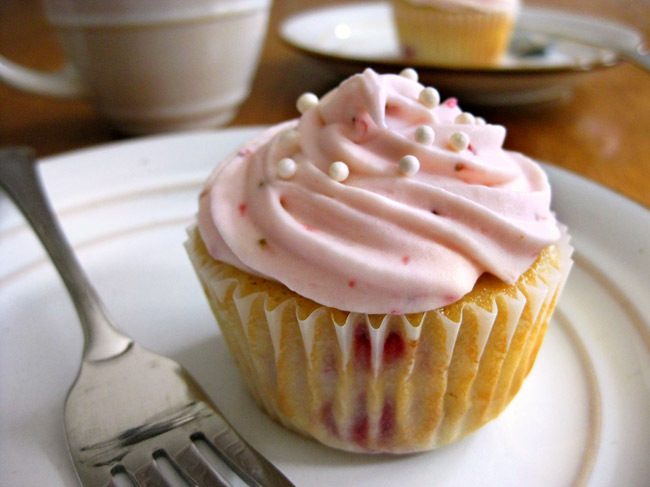 Will try to make those strawberry cupcakes for sure. Myself I just baked raspberry topped lemon muffins yesterday.